Gardai are warning motorists to drive with caution after a number of collisions took place on roads in Wicklow on Friday evening due to heavy rain. Three crashes were reported on the road leading from Arklow to Avoca, wet conditions are set to continue the AA have issued the following advice. 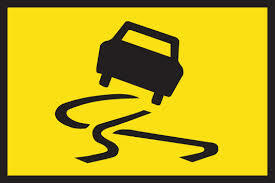 Wet road conditions remain in most places. Up to 40mm of rain is expected, with local spot flooding anticipated. It’s expected to be heaviest along the southeast coast. Motorists are urged to slow down, stay a safe distance from the vehicle in front and remember in strong winds high-sided vehicles are particularly vulnerable on open or exposed roads. Remember, never drive through flood water unless you know it’s not too deep for your car.